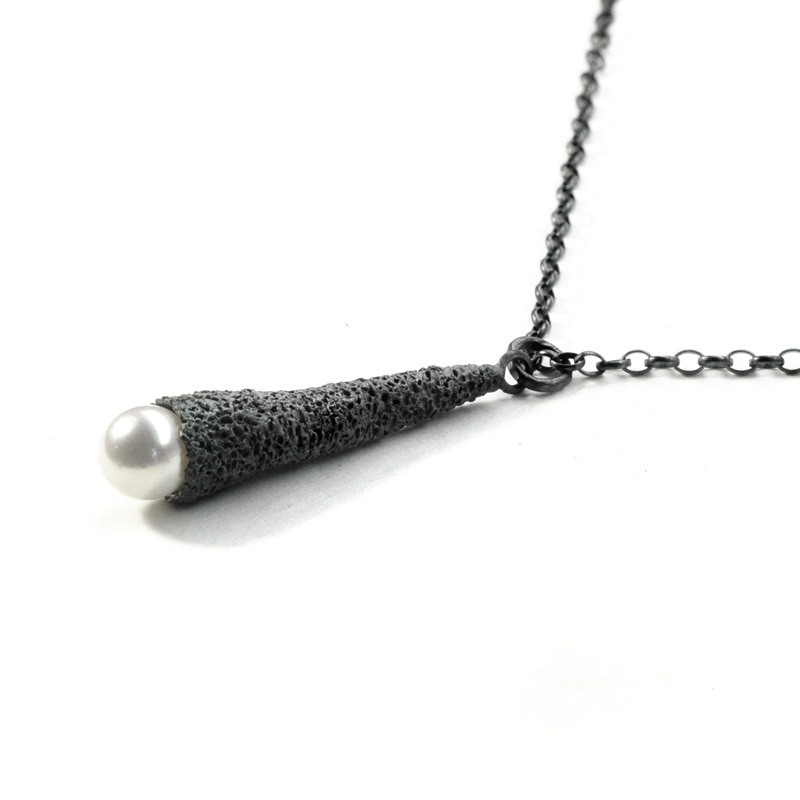 Stalagmite Necklace / oxidised sterling silver necklace with pearl / by Welfe. 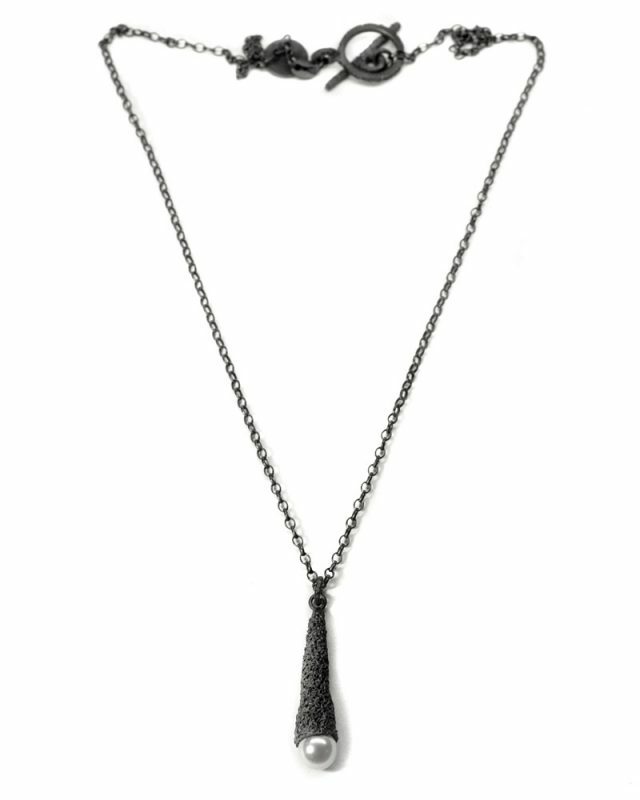 The Stalagmite necklace has an eroded texture as though worn away from centuries of decay. Its tapered form evokes the look of a cave stalagmite and partially envelops a stunning white Akoya Pearl.